How to share data on MTN, Glo, Etisalat and Airtel? Full guide! Home » Techs Updates » How to share data on MTN, Glo, Etisalat and Airtel? Full guide! There are different ways to share data, and everything depends on the network that you are using. Here is a full guide on sharing data on different networks. Keep reading to find out how to share data on Glo, MTN, Airtel, and Etisalat. What is data sharing for? Nowadays, the Internet is a huge and undeniable part of our lives, and the modern person is totally unable to survive without internet technologies. The communication networks give you the opportunity to share internet data with people that are close to you, to make sure that they also experience all the benefits of the Internet. Nigerian networks provide you with a variety of excellent sharing plans that are constantly updated and you can choose any of them. Now, we can explore the ways of sharing data on every major Nigerian network. How to share data on Glo? The Glo data share is quite easy, but you will need to remember some things. Glo has a lot of plans, and all of them possess a certain unique USSD code. So, before sharing data with your friend or family member or gifting data to them, you should clearly know which exact plan they are using. Keep in mind that the USSD code is important in order to transfer data later. You will also need the phone number of the person that you are sending your data to – it is necessary when you start the process. For sharing data, you must be subscribed to one of the Glo plans that have a feature of gifting and sharing. There are a few options that you can use to share your data and you can choose which one to use, depending on your personal preferences and needs. You can choose whether you want to dial *127*01*[phone number of the person you are sending data to] # or to send “Share [phone number] to 127. Both options will lead to the same outcome – your data plan will be shared with this person.If you want to remove the person from data sharing, you should dial *127*02*[phone number]# or send “Remove [phone number]” to the same number 127. Examples: *127*01*0805XXXXXXX#, Share 0805XXXXXXX, *127*02*0805XXXXXXX, Remove 0805XXXXXXX. The X’s here are the remaining digits of the phone number. If you want to send data to someone as a gift or to fill your other number with data, you can dial *127*[USSD plan number]*[phone number] # or you can send “Gift [phone number] to the number 127.There is also an option of visiting the website hsi.glo.com from the phone while using your Glo SIM and performing the operations from there. MTN has a DataShare service, which is easy and accessible to everyone. There are some data bundles, which are listed in the price list of MTN service, and you can choose one of them. You will be able to use it together with your family or from your another phone. MTN data share is not difficult at all. You can just follow the further instructions. Press 1 for the registration.Press 2 and you can change your old PIN to the new one.Press 3 and you will be able to buy some data for a gift.Press 4 and you will get the data-sharing options. The number that you are supposed to press is 4. You will receive a message with standard 0000 pin-code, which will show that you have registered successfully. You will also be asked to provide or register the Beneficiaries MSISDN. Creating a new PIN can be possible if you dial *131*2*5# or send a message to the number 131 with the text “change 0000 [the modified pin-code] [repeat the new pin-code]”. For example, it will be like “change 0000 1111 1111”. When the pin-code is successfully replaced with the new one, you will be notified about it. In order to share the data, your monthly plan has to be minimum 250 MB. If you have a smaller amount of MB, this denies you the possibility to share data with the other people. Dial *141*2*163# in order to buy a set of data.Then, dial *141*5# if you would like to activate the MTN Data Share service.Choose the option “manage data bundles”. Then press Data Share. Activate the DataShare by calling 808 or going to the MTN office closest to your area.If you called 808, you have to dial *141*5#, then press 4, and then press 2. If you want to add some recipients to your shared bundle, you will need to dial *131*2*2# or send the text “add” to the number 131. You can add up to five recipients. After you have added them, you will be able to share your data with them without any problems, just by dialing *131*2*3# or sending the text “share” to 131. If you would like to check your data balance, it is really easy. You can just dial *691*7# or send the text “sharebalance” to 131. You can send a message to 777, containing the following information: <Transfer> <Phone number of the recipient> <Sum> <Pin>. For example: <Transfer> <0800000000> <2000> <1111>. When you are done, you will receive a message where you will be asked to confirm your transfer. Just send <Yes> to 777Dial *600*Phone number of the recipient*Sum*PIN# and then press send. For instance, it can be like *600*0800000000*2000*1111#. When you complete the transaction, you will get the confirmation about the successful completion of your operation.You can also share credits by using the official MTN site, https://www.mtnonline.com/. You can do it by going in the “My contact account” section and following the instructions that you can find there. How to share data on Airtel? Airtel also cares about their users and makes sure they have an opportunity to share their data with everyone they love. Due to the new data plans, it became easier than ever. In case you are confused about sharing data on Airtel, the detailed explanation will be waiting for you below. Like in the case with the previous networks, you can only share the data if your family member or friend uses the Airtel data balance plan. Sharing the Internet packs is possible in case you are a user of Airtel data share or Airtel family share. You can share any kind of internet data, regardless if it is in 2G, 3G or 4G format. Sharing your internet data can be done with up to four people. It is also possible for you to share your data monthly. The process is simple and convenient. In case you want to know how to share data online, you will have to complete the following steps in order to be able to do it. First of all, you should recharge your phone with the packs that include 3G or 4G internet.Check your Airtel data balance (you can do this by dialing *123*11#).If there is enough MB on your account, you can go to the Airtel’s official website. https://www.airtel.in/Enter your phone number and the Airtel password or you can use a temporary password that was sent to you via text message. If you have entered everything successfully, you are logged in into the Airtel account.Then, choose the number that you would like to share your data balance with. Always double-check the number to make sure that you are not sharing with the wrong person. Airtel company does not give the data back in case you have made a typo in the number, and the person who you accidentally sent data most likely will not return it.You can only add up to four numbers and no more.When your procedure is completed, you will receive a confirmation message. 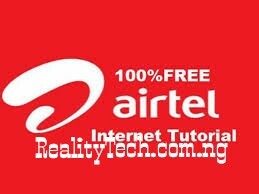 For sharing Airtel data without the Internet, you could follow the alternate method. It is called Airtel data code, and with it, you can just add any number to your list using the text message. You will not have to pay any extra money in order to use this way of sharing data. First of all, recharge the Airtel data balance and double-check it before proceeding.Remember that you will only be able to add four numbers to your list, and you should check the numbers very carefully before adding them.Send “share” to the number 121.You will receive instructions from the customer service of Airtel. You will be told how to share your data with other people.Follow these instructions and add some numbers. The format will be like “add<space><ten-digit phone number>, and you will have to send it to 121. For example, type “add 8888888888” and then send the message to 121.The Airtel customer service is supposed to ask you for the confirmation of your actions. For confirmation, you should press 1.Now you can share your data with this number unless you would like to delete it from your contacts. Type the SMS “del<space><ten-digit phone number>” and send it to 121. For example “del 8888888888” and press send.When you have deleted the number from your data balance sharing list, this person will no longer be receiving data from you. There are different ways to share data with a friend. You can send 10 MB by entering *141*712*11*phone number#. If you want to send 25 MB, you can dial *141*712*9*phone number#. In case you would like to send 60 MB, then you can enter *141*712*4*phone number#. However, remember that only one transaction per day can be made. If you want to learn about the other beneficial options of Airtel, you can always visit the official website and read about them. How to share data on Etisalat? The last topic we will discuss in our article is Etisalat data share or if to be precise, 9Mobile because this network has changed its name in Nigeria. Many people use the 9Mobile mobile network and subscribe to the monthly plans offered by this provider. Of course, just like the other big networking companies, 9Mobile allows the users to share their data with those people who they are close with. Here, we will explain how to do it if you really wish to generously share your data with others. To share data with other Etisalat (9Mobile) users, you will have to dial the following combination: *229*PIN*amount of MB*9Mobile number#. For instance, if you want to share 20 MB with someone, type something like *229*1111*20*0801234567# (of course, with your real pin-code and this person’s number). If you wish to change your 9Mobile PIN, it is possible to do. The default PIN on 9Mobile is 0000. In case you would like to change it, you will have to dial *247*old pin-code*new pin-code#. The example is given, you would want to change 0000 to 1111. Dial *247*0000*1111#. Remember that the smallest amount of data that you can send daily is 10 MB, and the largest is 50 MB. The daily limit of transferring is 250 MB. This is for the users who do not use the 9Mobile data balance plans. If you purchase the plan, your minimal limit will increase to 200 MB, while the maximum will be 20 GB. Now you know how to share data on some of the biggest Nigerian operators, including Glo, MTN, Airtel and Etisalat (9Mobile). Good luck in transferring the data to your friends, colleagues, and family! Looking for Mobile Recharge Software or Mobile Recharge API With Best Margin Slab.